Madrid, 1969. He undertook his undergraduate and postgraduate degrees at the Complutense University of Madrid. He is currently an art lecturer at the Francisco de Vitoria University in Madrid. 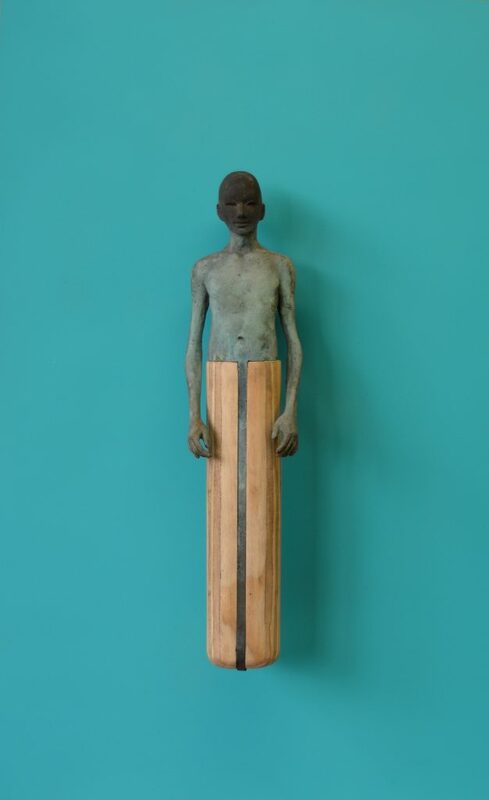 The sculptures of Jesús are heavily influenced by African and Asian cultures. They fuse the literal and the surreal; combining the figurative traits of the person with abstractionism to show the interaction between the individual and space. His unique way of treating metals and apply the exact amount of acids that stained bronzes of subtle colors, transformed his sculptures works authentic, fresh and unique. Jesús has exhibited extensively in Europe and the Americas, and is slowly coming to prominence as an important sculptor in Spain. You can check the catalogue here. Video of the exhibition: click here (by Climent Vilella).